The raison d'etre of Oh! Calcutta is to celebrate the centuries-old cuisine of Calcutta. This diverse cuisine has developed organically from the confluence of various cultures including Lucknowi (Avadh), Continental, Chinese and Bengali. The challenge of Oh! Calcutta cuisine is to recreate dishes from the old recipes selected through painstaking research in libraries, old clubs and grand mothers' diaries. The Chefs come from the heart of this culture, which helps them to recreate these legendary dishes. Oh! Calcutta as the name suggests, offers a diverse range of cuisines that make Kolkata the gastronomical capital of the country. Bengali, Nawabi, British and Continental cuisines are served in this restaurant, where the ambience is that of a Kolkata club. The delicacies range from Lucknowi Biryani, Prawn Malai Curry, Mutton Rezala, Smoked Bekti to the ever popular Bhapa (Steamed) Hilsa. The raison d'etre of Oh! 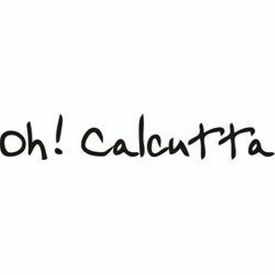 Calcutta is to celebrate the centuries-old cuisine of Calcutta.This diverse cuisine has developed organically from the confluence of various cultures including Lucknowi (Avadh), Continental, Chinese and Bengali.The challenge of Oh! Calcutta cuisine is to recreate dishes from the old recipes selected through painstaking research in libraries, old clubs and grand mothers' diaries.The Chefs come from the heart of this culture, which helps them to recreate these legendary dishes.Oh! Calcutta as the name suggests, offers a diverse range of cuisines that make Kolkata the gastronomical capital of the country.Bengali, Nawabi, British and Continental cuisines are served in this restaurant, where the ambience is that of a Kolkata club.The delicacies range from Lucknowi Biryani, Prawn Malai Curry, Mutton Rezala, Smoked Bekti to the ever popular Bhapa (Steamed) Hilsa. The delicacies range from Lucknowi Biryani, Prawn Malai Curry, Mutton Rezala, Smoked Bekti to the ever popular Bhapa (Steamed) Hilsa. If the bill amount exceeds the amount of Gift certificate, the customer is supposed to pay in cash the balance amount. If the bill amount is less than the amount in the gift certificate, the balance amount will not be returned back. No cash will be returned against the Gift voucher. This Gift Voucher cannot be redeemed in part value. Only one Gift Voucher can be availed in a single cash memo/invoice. This voucher cannot be exchanged for cash or cheque. Photocopies or duplicate vouchers will not be entertained. In the event of loss, the bearer of the voucher is responsible and no replacement will be given. The vouchers are valid for a period of 12 months from the date of issue.